How many times have you tried to solve a problem only to get stuck in the process? In a business setting, this is a common occurrence. You’re faced with issues that traditional problem solving methods can’t solve. But you still need to find a way to fix the issue to move a project forward or resolve a conflict. This is when you may need to get creative to solve the problem at hand. 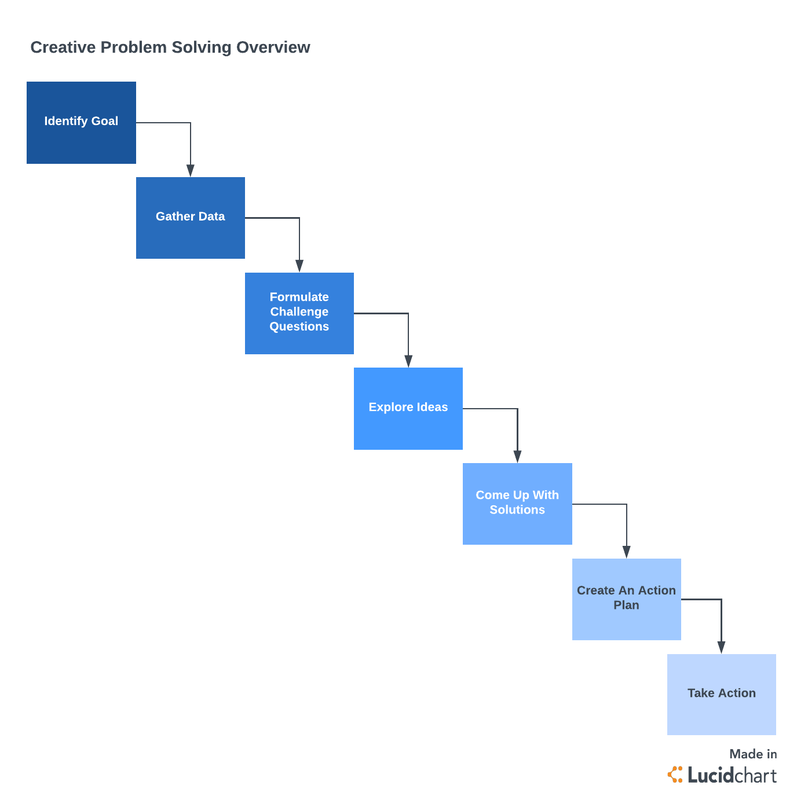 The definition of creative problem solving (CPS) will vary between organizations. At its core, CPS involves approaching a problem in an imaginative, innovative, and unconventional way. The process encourages you to find new, creative ways of thinking that can help you overcome the issue at hand more quickly. The CPS process can be broken down into seven steps. Before solving the problem, you need to fully understand the problem you’re trying to solve. You may have overlooked or misunderstood some details. Take some time to analyze the conflict and clear up any confusion. Once you know what the problem is, you need to learn all you can about it. Who does the problem affect? Who is involved in solving the issue? Gather all the knowledge you can to gain a better understanding of the issue and to solve it. After you’ve gathered the details, turn the problem into a question. Word the question in a way that encourages suggestions or ideas. It should be short, concise, and only focus on a single issue. Once you’ve created one or two questions, start trying to answer them. This step is where the brainstorming begins. You’ll be creating possible ideas or solutions to the problem you’re facing. This is usually when the creativity really starts to flow. With so many ideas flowing, it’s crucial that you write each of them down—even the stupid ones. Even if the idea you come up with has little to no chance of working, write it down. Trying to sort out bad ideas from the good ones during this step can squash creativity. 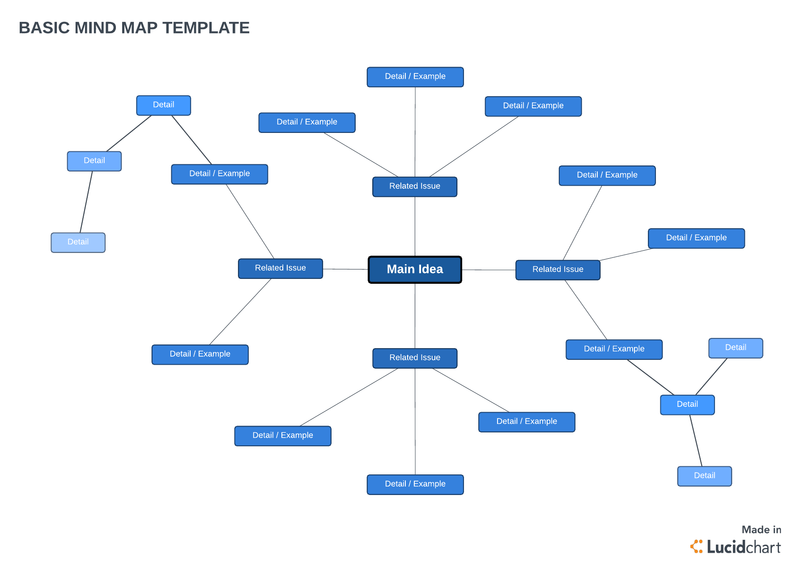 To keep your ideas organized, consider using flowcharts or mind mapping templates from Lucidchart. They’ll capture all your ideas and help you zero in on the perfect solution. 5. Come up with solutions. Weed out the average ideas from the winners by testing each one. See if the possible solution actually solves the problem and if you can implement it successfully. If the potential solution doesn’t resolve the issue, move on to the next idea. Evaluating each idea will help you zero in on the perfect solution. Now that you have the perfect solution, you’ll need to create an action plan outlining implementation steps. Consider what resources you’ll need and how long it will take. Then write it all down. Once you create the plan, communicate the approach to the rest of the team so they’re aware of what’s happening. To help you create an organized and detailed plan, you can use swimlanes in Lucidchart. With your plan created and your team on board, it’s time to implement your solution and resolve the problem. Synectics: This technique helps to inspire thoughts that you might not be aware of. It is a way to approach creativity in a logical, rational manner. TRIZ methodology (Theory of Inventive Problem Solving): This problem solving methodology is based on logic, data, and research—not intuition. It involves adapting existing solutions to your particular problem. Brainstorming: Using this technique allows you to collect a number of ideas that can be a potential solution to a problem and can be used in either a group or individual setting. Mind mapping: Mind mapping helps keeps your ideas organized by representing them in a graphical manner. Reversal of problem: Trying to solve a problem using traditional problem solving methods can sometimes end in roadblocks.This technique forces you to think about a problem from a new perspective. Looking beyond something’s function: Thinking about how you can use something beyond its typical function is a common CPS technique. No matter what profession you’re in, you will face challenges. There will be times when traditional problem solving techniques just don’t do the trick. That’s when you can take advantage of CPS to help uncover the best solution to your problem.